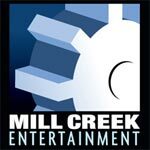 Mill Creek’s bargain releases for “Knight Rider” and “Miami Vice” is effectively priced (<$10 per season) especially for those who don’t already own them. Another plus over the Universal releases is these are slimmer packaging so those with limited shelf space will benefit. Sadly, they do not have any features but that’s not too surprising.